Colleagues at Europeana have been working with Wikimedia in the Netherlands, UK, France and Switzerland to develop a powerful toolset that allows bulk importing of publicly available, openly licensed images, audio and video from GLAM institutions (Galleries, Libraries, Archives and Museums) into Wikimedia. If you want to know why that’s valuable, I’ll get to that at the end. Tomorrow (Saturday 7 June) I’ll be at the Wikimania Free Culture Weekend at the Barbican, London and thought I’d put a few personal notes and links together for anyone who is going along, or even if you’re not. Taking Europeana as an example, it provides access to a diverse and rich collection of objects from over 2,300 cultural institutions across Europe – currently over 33 million items and growing every month. Additionally, with new initiatives such as Europeana 1914-18 there is also material submitted by members of the public, often associated with amazing personal stories. Crucially there’s a powerful API you can use to run queries, extract metadata, and create your own apps. Â Every item has a clear license, and increasingly there’s direct access to digital files from the providers. 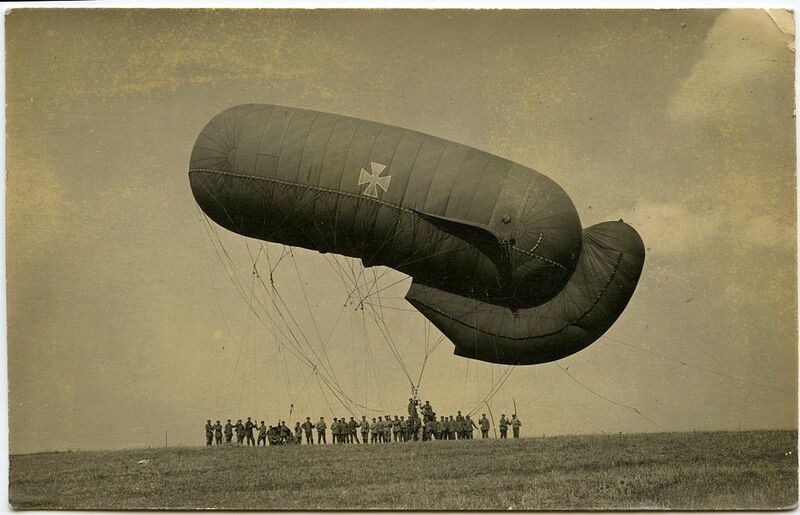 In my mind there’s no better single example than the image of the German balloon used to illustrate this article. Taken in Ã‰quancourt, France on 22 September 1916, it was brought into a Europeana 1914-18 roadshow by Christoph HerrmannÂ as part of a unique personal collection. It was added to Europeana under a Creative Commons CC BY-SA 3.0Â license, and through the API this made it immediately available for re-use. Â It was uploaded to Wikimedia in June 2012 and the image is now in use on nine Wikipedia pages across five countries. The toolset is still in development and there are bugs that need ironing out and new features to add – all offers of help are gratefully received.